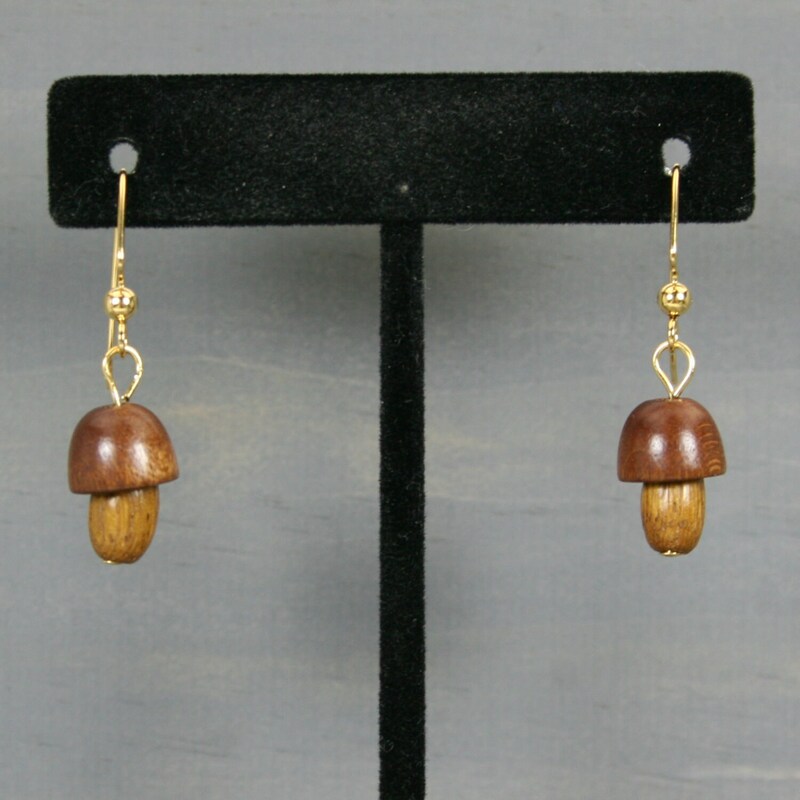 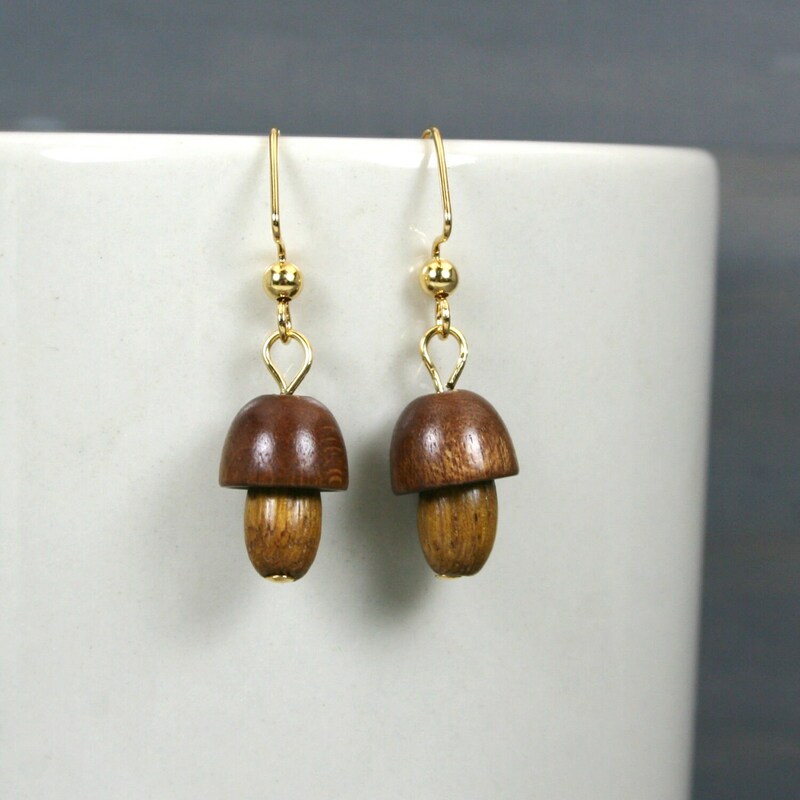 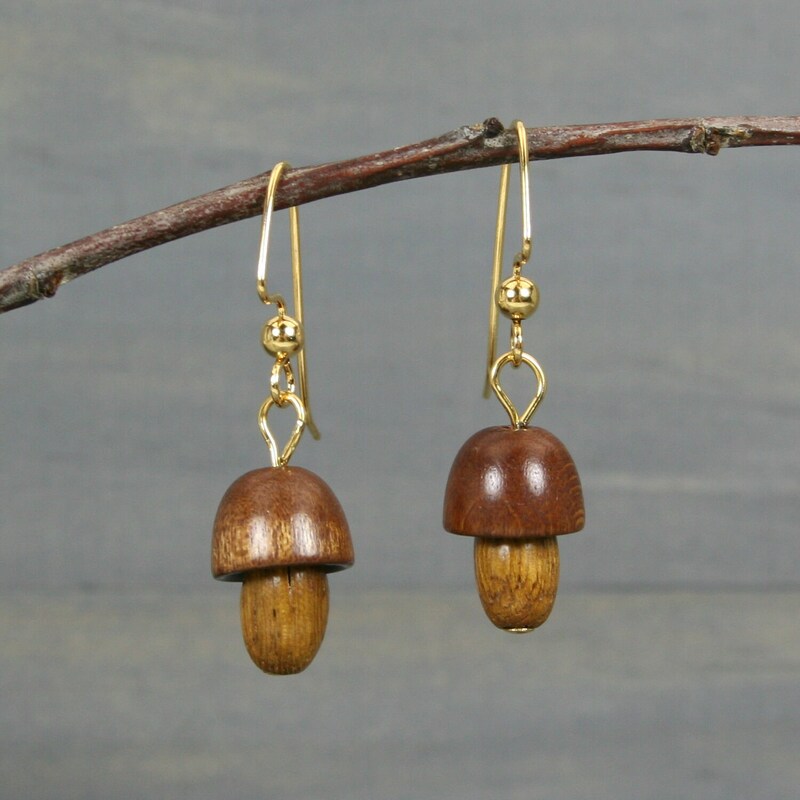 Each earring is made from a oval wood bead suspended below a wooden bead cap for a mushroom-like look. 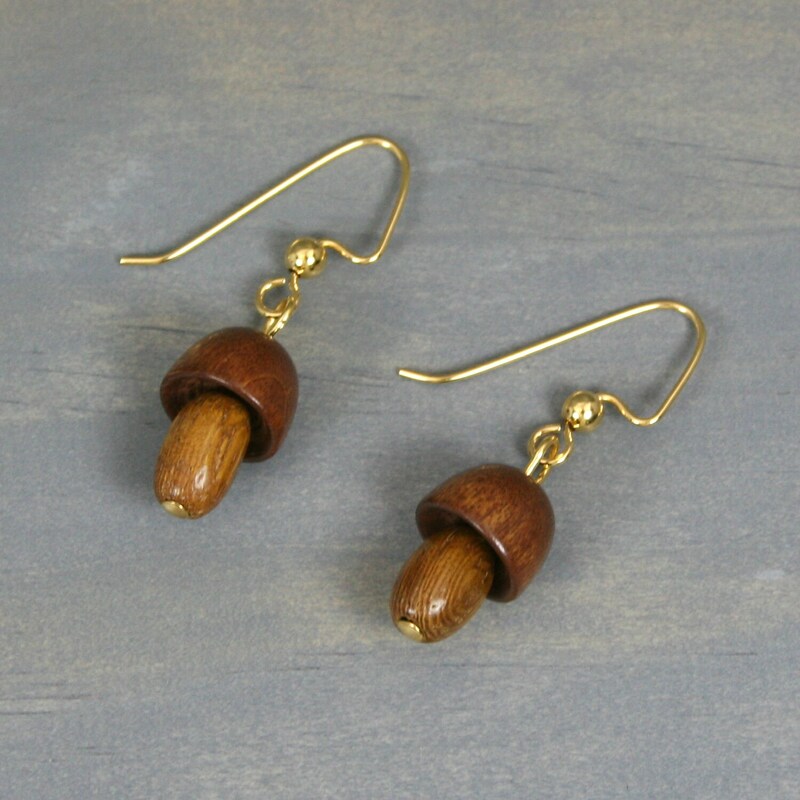 These are attached to a gold-plated ear wire for a slight dangle. 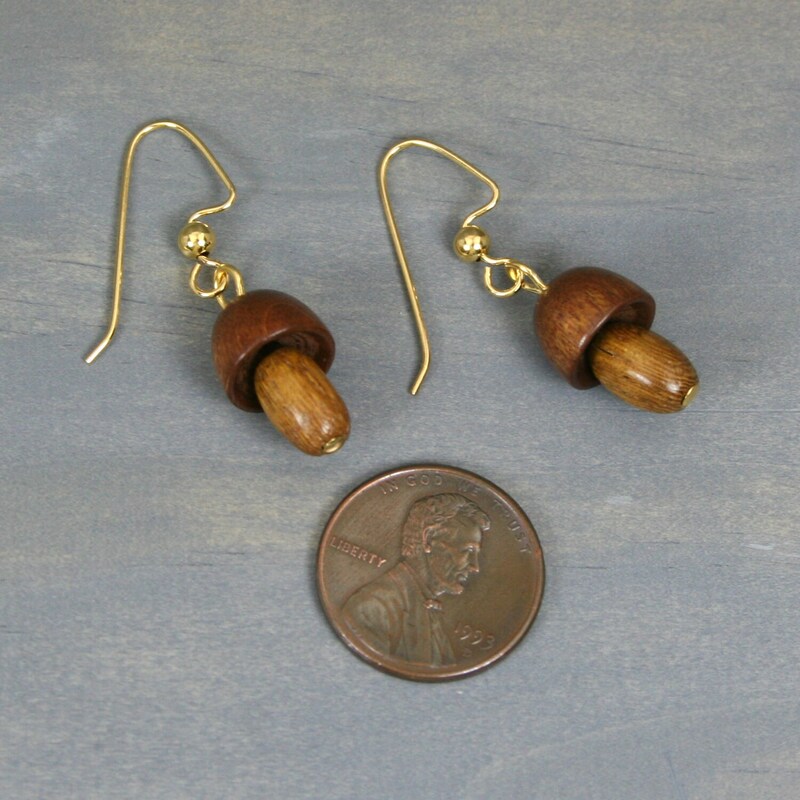 The bottom of the earrings dangle about 35 mm from the top of the ear wire.